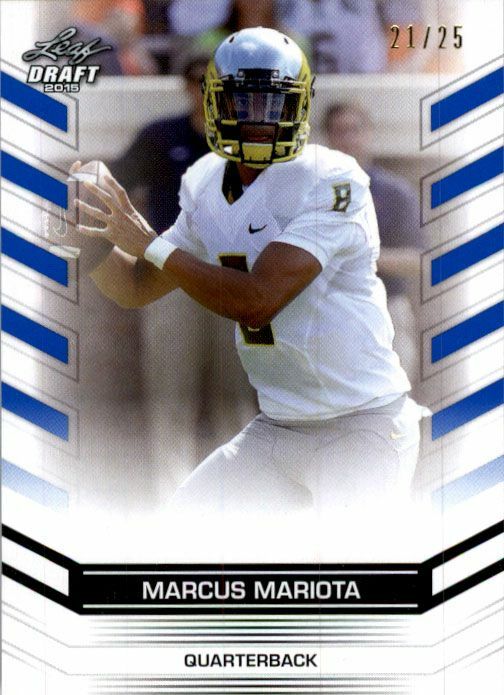 You are bidding on a MARCUS MARIOTA #2 2015 Leaf NFL Draft BLUE Football RC #/25 . The 2015 Football Draft season is upon us, and with that comes another year of the LEAF Draft Football exclusive release cards! This product is sure to be a hit with investors and collectors alike. This set centers on the elite players for this year's draft, who are poised to set the world on fire! Please see the scan of what you are buying, and email us with any questions before bidding! Thanks for looking, and good luck!